Each Print is in an edition of 40. The release price is $4500 per print and Paulson Press will increase the prices as the editions sell. They are available individually and as sets. 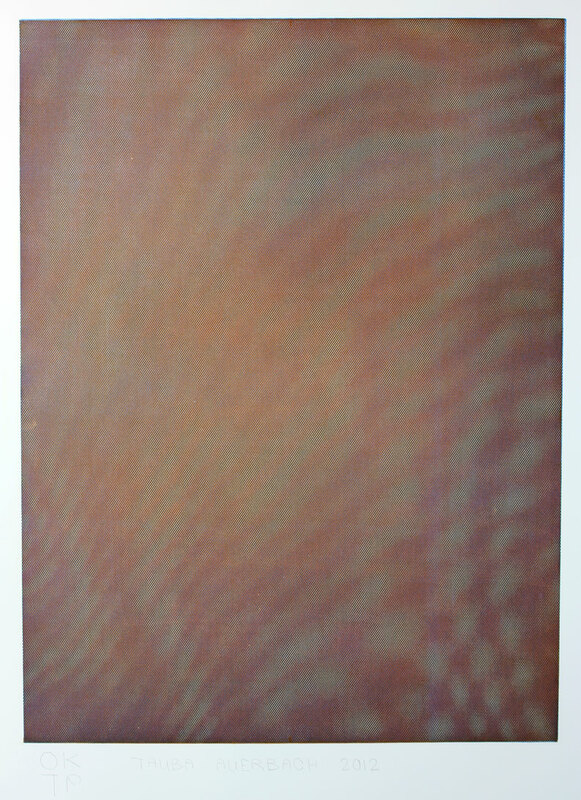 Tauba Auerbach – MESH/MOIRE I, 2012. Color Aquatint Etching. 40 ¼” x 30”inches. Unframed. Signed/Dated Edition of 40.